Law No. 11959 of 29 June 2009, provides for the National Policy for the Sustainable Development of Aquaculture and Fisheries and regulates fishing activities. Law No. 11794 of 8 October 2008, regulates item VII of paragraph 1 of art. 225 of the Federal Constitution, establishes procedures for the scientific use of animals. Law No. 11516 of 28 August 2007, provides for the creation of the Chico Mendes Institute for Biodiversity Conservation. Law No 11460 of 21 March 2007, provides for the planting of genetically modified organisms in conservation units. Law No. 11105 of 24 March 2005, regulates items II, IV and V of paragraph 1 of art. 225 of the Federal Constitution, establishes safety standards and mechanisms for monitoring activities involving genetically modified organisms (GMOs) and their derivatives, creates the National Biosafety Council (CNBS), restructures the National Biosafety Technical Commission (CTNBio), provides for the National Biosafety Policy (PNB). Law No. 9984 of 17 July 2000, provides for the creation of the National Water Agency (ANA), the federal entity for the implementation of the National Water Resources Policy and for coordination of the National Water Resources Management System. Law No. 9605 of 12 February 1998, provides for criminal and administrative sanctions applicable to conducts and activities harmful to the environment. Law No. 9433 of 8 January 1997, institutes the National Water Resources Policy, creates the National System for Water Resources Management. Law No. 8723, 28 October 1993, provides for the reduction of pollutant emissions from road vehicles and other measures. Law No. 7802 of 11 July 1989, provides for research, experimentation, production, packing and labelling, transportation, storage, commercialization, commercial advertising, use, import and export, final destination of package residues, registration, classification, control, inspection, and supervision of pesticides, their components and similar substances. Law No. 7735 of 22 February 1989, institutes the Brazilian Institute of Environment and Renewable Natural Resources (IBAMA). Law No. 7661 of 16 May 1988, institutes the National Coastal Management Plan. Law No. 6938 of 31 August 1981, institutes the National Environmental Policy. Law No. 6902 of 27 April 1981, provides for the creation of Ecological Stations, Environmental Protection Areas and other measures. Law No. 6803 of 2 July 1980, deals with the basic guidelines for the industrial zoning in pollution sensitive areas, and other measures. Law No. 6766 of 19 December 1970, provides for the Urban Land Division. Law No. 5868 of 12 December 1972, creates the National Rural Registration System. Law No. 5197 of 3 January 1967, provides for the protection of the fauna. Resolution 11, Sep. 26, 1984, establishes provisions for the creation of Areas of Relevant Ecologic Interest – Mata de Santa Genebra/SP, Ilha do Pinheirinho/PN, Ilhas Queimadas Pequena and Queimada Grande/SP, and Ilha Almeixal/SP. Resolution 14, Dec. 18, 1984, establishes provisions for the creation of the Capetinga-Taquara Area of Relevant Ecologic Interest/Federal District of Brasilia. Resolution 17, Dec. 18, 1984, establishes provisions for the creation of Areas of Relevant Ecologic Interest – Vale dos Dinossauros/PB and the Mangroves on the Estuary of the Mamanguape River/PB. Resolution 27, Dec. 3, 1986, establishes provisions for administrative procedures aimed at the integration of IBGE’s Ecologic Reserve into the ARIE’s Capatinga – Taquara located in the Federal District. Resolution 11, Dec. 14, 1988, establishes provisions related to wild fire management within Conservation Units. Resolution 11, Sept. 14, 1989, establishes provisions for the creation of the Cagarras Archipelago Area of Relevant Ecological Interest in the State of Rio de Janeiro. Resolution 12, Sept. 14, 1989, establishes provisions related to the ban of activities that impact the ecosystems of Areas of Relevant Ecological Interest. Resolution 18, Dec. 7, 1989, establishes provisions for the creation of the Pé-Gigante Cerrado Area of Ecologic Interest in the State of Sao Paulo. Resolution 5, Oct. 17, 1990, establishes provisions for the creation of Serra da Abelha – Rio da Prata, Santa Catarina – Area of Relevant Ecological Interest. Resolution 302, March 20, 2002, establishes the parameters, definitions and boundaries of Permanent Preservation Areas with artificial reservoirs and regulates the use of their grounds. Resolution 303, March 20, 2002, establishes the parameters, definitions and boundaries of Permanent Preservation Areas. Resolution 341, Sept. 25, 2003, establishes criteria for the characterization of sustainable tourism activities or enterprises of social interest such as the occupation of Coastal Zone dunes without vegetation. Resolution 369,March 28, 2006, establishes provisions for exceptional cases of public and social interest or with low environmental impact which allow for interventions or suppressions of the vegetation in Permanent Preservation Areas (APPs). Resolution 425, May 25, 2010, establishes criteria for the characterization of sustainable agropecuary activities and enterprises undertaken by family farmers, rural family enterprises and traditional populations and communities of social interest, aimed at the production, intervention and recuperation of Permanent Preservation Areas and other areas of limited use. Resolution 429, Feb. 28, 2011, establishes provisions for the methodology used for the recuperation of Permanent Preservation Areas (APPs). Resolution 422, March 23, 2010, establishes directives for the campaigns, actions and projects related to Environmental Education according to the provisions of Law 9.795, issued on April 27, 1999, and makes other provisions. Resolution 9, Oct. 24, 1996, defines ”remaining corridors between vegetation” as transit areas for fauna. Resolution 238, Dec. 22, 1997, establishes provisions for the approval of the National Policy for the Control of Desertification. Resolution 240, April 16, 1998, suspends lumber exploitation activities within the Atlantic Forest in the Bahia State. Resolution 248, Jan. 17, 1999, establishes provisions for sustainable Forestry Management, Environmental Licensing and for the Control and Monitoring of forestry based enterprises within the Atlantic Forest located in the southern region of the State of Bahia. Resolution 249, Jan. 29, 1999, establishes directives for the Sustainable Development and Conservation Policy for the Atlantic Forest. Resolution 278, May 24, 2001, establishes provisions to prevent the logging and the exploitation of Atlantic Forest flora species threatened with extinction. Resolution 300, March 20, 2002, complements cases awaiting licenses for cutting/logging foreseen in art. 20 of Resolution 278 from May 24, 2001. Resolution 317, Dec. 4, 2002, regulates Resolution 278 from May 24, 2001, which establishes provisions regarding the cutting and exploitation of Atlantic Forest species threatened with extinction. Resolution 17, Dec. 7, 1989, establishes provisions for the destination of non-edible products and by-products from animals seized by IBAMA. Resolution 346, Aug. 16, 2004, regulates the use of wild native bees as well as the introduction of beehives. Resolution 384, Dec. 27, 2006, regulates the provisional concession of domestic storage of seized wild animals and makes other provisions. Resolution 394, Nov. 6, 2007, establishes the criteria for the determination of wild species that can be bred and commercialized as pet animals. Resolution 294, Dec. 12, 2001, establishes provisions for the Management Plan for the Euterpe adulis Palmito in the Santa Catarina State. Resolution 310, July 5, 2002, establishes provisions for the sustainable forest management of the Bracatinga (Mimosa Scabrella) in Santa Catarina State. 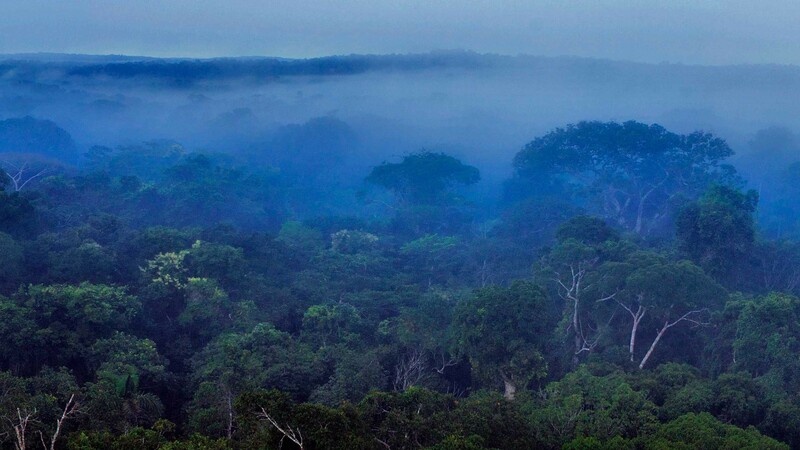 Resolution 406, Feb. 2, 2009, establishes technical parameters to be adopted for the preparation, presentation, technical assessment and enforcement of Sustainable Forestry Exploitation Plans (PMFS) related to the logging of native forests and their successional stages, within the Amazon biome. Resolution 274 , Nov. 29, 2000, defines coastal bathing water criteria for Brazilian Waters. Resolution 357, March 17, 2005, establishes provisions for the classification of water bodies as well as environmental directives for their framework, establishes conditions and standards for effluent releases and makes other provisions. Resolution 370, April 6, 2006, extends the deadline for compliance with the conditions and standards for effluent releases foreseen in art. 44 of Resolution 357 from March 17, 2005. Resolution 393, Aug. 8, 2007, establishes provisions for the continuous release of processed water or water produced on oil and natural gas sea platforms and makes other provisions. Resolution 397, April 3, 2008, changes item II of § 4 and Table X of § 5 both part of art. 34 of the National Environment Council (CONAMA) Resolution 357 from 2005 which establishes provisions for the classification of water bodies and environmental framework directives as well as establishing the conditions and standards for effluent releases. Resolution 410, May 4, 2009, extends the deadline for the fulfillment of the conditions and standards related to effluent releases, foreseen in art. 44 of Resolution 357 issued on March 17, 2005 and in art. 3 of Resolution 397 issued on April 3, 2008. Resolution 1, March 8, 1990, establishes criteria and standards for the emission of noise from any industrial, commercial, social or leisure activity, including political propaganda. Resolution 2, March 8, 1990, establishes provisions for the National Program for the Education and Control of Sound Pollution <<SILÊNCIO>>. Resolution 1, Feb. 11, 1993, establishes maximum noise limit levels for vehicles while running but still or in acceleration, national or imported, with the exception of motorcycles, scooters, mopeds, tricycles and bicycles with auxiliary engines or similar vehicles. Resolution 2, Feb. 11, 1993, establishes maximum noise limit levels for vehicles while running but still or in acceleration such as motorcycles, scooters, motorized tricycles, mopeds, bicycles with auxiliary engines and similar vehicles, national or imported. Resolution 20, Dec. 7, 1994, establishes the creation of the Noise Stamp, a mandatory requirement for any electric appliance that generates noise. Resolution 17, Dec. 13, 1995, establishes the maximum emission limit rates for regular or modified passenger vehicles. Resolution 268, Sept. 14, 2000, establishes alternative methods for the monitoring of motorcycle noise. Resolution 272, Sept. 14, 2000, establishes limits for noises caused by the acceleration process in national and imported vehicles, except motorcycles, scooters, mopeds and similar vehicles. Resolution 5, June 15, 1989, establishes provisions for the National Program for the Control of Air Pollution (PONAR). Resolution 3, June 28, 1990, establishes provisions for the air quality pattern, provided for in PRONAR. Resolution 8, December 6, 1990, establishes provisions for the establishment of maximum levels of emissions of air pollutants caused by external combustion processes by fixed pollution sources. Resolution 299, Oct. 25, 2001, establishes procedures for the elaboration of rate reports for the control of emissions by new vehicles, including imported vehicles. Resolution 315, Oct. 29, 2002, Establishes provisions for the new stages of the Program for the Control of Air Pollution by Motor Vehicles (PROCONVE) to comply with the ratification of new motor vehicles, national or imported, light or heavy produced exclusively for the national Brazilian market. Resolution 321, Jan. 29, 2003, establishes provisions for the alteration of CONAMA Resolution 226 from Aug. 20, 1997, that addresses specifications for commercial diesel oil and the regions where it is distributed. Resolution 342, Sept. 25, 2003, establishes new levels for polluting gases for mopeds, motorcycles and new similar vehicles in order to comply with Resolution 297 from Feb. 26, 2002 and makes other provisions. Resolution 373, May 9, 2006, defines the criteria for the selection of areas supplied with Diesel Oil with Low Sulfur Content (DMTE) and makes other provisions. Resolution 382, Dec. 26, 2006, establishes the maximum levels of pollution emissions by stationary sources. Resolution 403/2008, Nov. 11, 2008, establishes provisions for the new phase of demands imposed by the Program for the Control of Air Pollution by Motor Vehicles (PROCONVE) for new heavy vehicles (Phase P-7), and other provisions. Resolution 414, Sept. 24, 2009, changes CONAMA Resolution 18 from May 6, 1986 and restructures the Monitoring and Assessment of PROCONVE-CAP, its objectives, competencies, composition and operation. Resolution 415, Sept. 25, 2009, establishes provisions for the new phase (PROCONVE L6) regarding demands set by the Program for the Control of Air Pollution by Motor Vehicles (PROCONVE) for new light road motor vehicles, and makes other provisions. Resolution 435, Dec. 16, 2011, changes the texts of articles 20 and 33 of Resolution 418 from Nov, 25, 2009, changed by Resolution 426 from Dec. 14, 2010, and regulates the date of enforcement for inspection and maintenance programs, of motorcycles and similar vehicles with 4 Otto moped engines, in states and municipalities. Resolution 436, Dec. 22, 2011, establishes the maximum rates of atmospheric pollution emissions from point sources or sources with operational licenses granted before Jan. 2, 2007. Resolution 18, May 6, 1986, establishes provisions for the establishment of the Air Pollution Control Program by Automotive Vehicles-PROCONVE. Resolution 8, Aug. 31, 1993, complements Resolution No.18/86, establishing, at the national sphere, the Program for the Control of Air Pollution by Motor Vehicles – PROCONVE, establishing maximum residue limits for pollutant emissions for engines for new heavy-duty vehicles, imported and domestic. Resolution 14, Dec. 13, 1995, establishes deadline for automobile manufacturers of passenger light motor vehicles equipped with Otto cycle engine to submit to IBAMA a three-year program for the performance of durability test by engine group. Resolution 15, Dec. 13, 1995, establishes provisions for new classification of motor vehicles for the control of vehicular emissions of gases, particulate and evaporative matter and makes other provisions. Resolution 16, Dec. 13, 1995, rules on the maximum residue limits for the emission of pollutants for engines for new heavy-duty vehicles, national and imported, and determines the homologation and certification of new vehicles of Diesel cycle as the smoke index under free acceleration. Resolution 226, Aug. 20, 1997, establishes maximum limits for soot/black smoke emissions by motor vehicles. Resolution 241, June 30, 1998, establishes provisions for the deadlines for the fulfillment of PROCONVE demands for imported vehicles. Resolution 282, July, 12, 2001, establishes requirements for the replacement of catalytic converters and makes other provisions. Resolution 291, Oct. 25, 2001, establishes complete regulations for the conversion of vehicles to gas combustion and makes other provisions. Resolution 297, Feb. 26, 2002, establishes limits for the release of polluting gases by mopeds, motorcycles and similar new vehicles. Resolution 299, Oct 25, 2001, establishes procedures for the elaboration of rate reports for the control of emissions by new vehicles, including imported vehicles. Resolution 315 , Oct. 29, 2002, establishes provisions for the new stages of the Program for the Control of Air Pollution by Motor Vehicles (PROCONVE) to comply with the ratification of new motor vehicles, national or imported, light or heavy produced exclusively for the national Brazilian market. Resolution 354, Dec. 13, 2004, establishes provisions for the adoption of on board diagnosis systems (ODB) for light motor vehicles aimed at the preservation the integrity of the performance of emission control systems. Resolution 403, Nov. 11, 2008, establishes provisions for the new phase of demands imposed by the Program for the Control of Air Pollution by Motor Vehicles (PROCONVE) for new heavy vehicles (Phase P-7), and other provisions. Resolution 415, Sept. 24, 2009, establishes provisions for the new phase (PROCONVE L6) regarding demands set by the Program for the Control of Air Pollution by Motor Vehicles (PROCONVE) for new light road motor vehicles, and makes other provisions. Resolution 432, July 13, 2011, establishes new phases for the control of polluting gas emissions by mopeds, motorcycles and new similar vehicles and makes other provisions. Resolution 433, July 13, 2011, provisions the inclusion of Motor Vehicles in the Air Pollution Program (PROCONVE) and establishes the maximum rates of noise emissions by new agriculture machines and new roadways. Resolution 418, Nov. 25, 2009, establishes provisions for the creation of Plans for the Control of Vehicle Pollution (PCPV) and for the establishment of Programs for the inspection and Maintenance of Vehicles in USE (I/M) by state and municipal environmental organs and Establishes new limits for emissions and proceedings for the evaluation of the state of vehicles in use. Resolution 426, Dec. 14, 2010, changes art. 5 and art. 12 of CONAMA Resolution 418 from 2009 and establishes new deadlines for the Plan for the Control of Vehicle Pollution and the Program for the Inspection and Maintenance of Vehicles in Use. Resolution 17, Dec. 13, 1995, establishes maximum emission limit rates for regular or modified passenger vehicles. Resolution 230, Aug. 22, 1997, bans the use of tools that can reduce the efficiency of the control of noise and atmospheric pollution levels in motorized vehicles. Resolution 242, June 30, 1998, establishes emission rates for light commercial vehicles and maximum noise levels for off-road vehicles with special characteristics. Resolution 7, Sept. 16, 1987, establishes provisions for the amendment of Resolution 7/87, which rules on the regulation of the use of asbestos in Brazil. Resolution 9, Dec. 14, 1988, establishes provisions for the amendment of Resolution 7/87 – regulation of the use of asbestos. Resolution 19, de 24/10/1996, establishes provisions for warning on parts containing asbestos. Resolution 267, Sept. 14, 2000, regulates the ban of substances that destroy the Ozone Layer. Resolution 314, Oct. 29, 2002, establishes provisions for the registration of medicinal products and makes other provisions. Resolution 359, April 29, 2005, establishes provisions for the regulation of phosphor content in powder detergents used in the entire national territory and makes other provisions. Resolution 375, Aug. 29, 2006, defines criteria and procedures for the agricultural use of sewage sludge generated in sewage treatment plants and their derivative products, and makes other provisions. Resolution 380, Oct. 31, 2006, ratifies CONAMA Resolution 357/2006 – defines criteria and procedures for the agricultural use of sewage sludge generated in sewage treatment plants and their derivative products, and makes other provisions. Resolution 1A, Jan. 23, 1986, establishes provisions for the transport of dangerous products in the national territory. Resolution 8, Sept. 19, 1991, establishes provisions for the prohibition of the entry into the country of waste materials intended destined for final disposal and incineration in Brazil. Resolution 24, Dec. 7, 1994, requires prior informed consent of the CNEN-National Commission of Nuclear Energy, to any import or export of radioactive material, in any form and chemical composition, in any quantity). Resolution 228, Aug. 20, 1997, establishes provisions for the importation of lead waste products and lead wastes from electric accumulators. Resolution 2, Aug. 22, 1991, establishes provisions for the treatment of deteriorated, contaminated or outdated local materials. Resolution 6, Sept. 19, 1991, establishes provisions for the treatment of solid waste of healthcare facilities, ports and airports. Resolution 5, Aug. 5, 1993, establishes provisions for the management of solid waste generated in ports, airports, rail and road terminals. Resolution 23, Dec. 12, 1996, establishes provisions for definitions and treatment to be given to hazardous waste in accordance with the standards adopted by the The Basel Convention on the control of Transboundary Movements of Hazardous Wastes and their Deposit. Resolution 235, Jan. 7, 1998, changes annex 10 of CONAMA Resolution 23 from December 12, 1996. Resolution 244, Oct. 16, 1993, excludes an item included in annex 10 of CONAMA Resolution 23 from December 12, 1996. Resolution 269, Sept. 14, 2000, regulates the use of chemical dispersants in oil spills into the sea. Resolution 275, April 25, 2001, establishes the color code for the different types of wastes to be adopted for the identification of collectors and transporters as well as used in information campaigns aimed at selective collections. Resolution 307, July 5, 2002, establishes directives, criteria and procedures for the management of wastes from building construction. Resolution 313, Oct. 29, 2002, establishes provisions for the National Inventory of Solid Industrial Wastes. Resolution 316, Oct. 29, 2002, establishes provisions, procedures and criteria for the operations of systems for thermic residual treatment. Resolution 340, Sept. 25. 2003, establishes provisions for the use of containers for the packaging, storage, transportation, collection and commercialization of gases that harm the Ozone Layer and makes other provisions. Resolution 344, March 25, 2004, establishes general directives and minimum requirements for the assessment of dredged materials in waters under national jurisdiction and makes other provisions. Resolution 348, Aug. 16, 2004, changes CONAMA Resolution 307 from July 5, 2002 and adds asbestos to the hazardous wastes class. Resolution 358, April 29, 2005, establishes provisions for the treatment and final disposal of health service wastes and makes other provisions. Resolution 362, June 23, 2005, establishes provisions for the gathering, collection and final destination of used or contaminated lubrication oil . Resolution 386, Dec. 27, 2006, changes art. 18 of CONAMA Resolution 316 of October 29, 2002. Resolution 398/2008, June 11, 2008, establishes provisions for the minimum content of the Individual Emergency Plan for oil pollution incidents in waters under national jurisdiction within organized ports, port installations, terminals, ducts, land probes, platforms and support installations, refineries, shipyards, marinas, nautical clubs and similar installations, and provides guidelines for its elaboration. Resolution 401/2008, Nov. 4, 2008, establishes the maximum amounts of lead, cadmium and mercury for batteries sold within the national territory and the criteria and standards for their adequate environmental management and makes other provisions. Resolution 416, Sept. 30, 2009, establishes provisions for the preservation of environmentally degraded areas due to discarded tyres and their environmentally adequate destination, and makes other provisions. Resolution 420, Dec. 28, 2009, establishes provisions for the criteria and guiding values regarding soil quality and the presence of chemical substances and establishes directives for the environmental management of contaminated areas by those substances due to anthropic practices. Resolution 421, Feb. 3, 2010, establishes provisions related to the revision and actualization of CONAMA Resolution 344 from March 25, 2004. Resolution 424. April 22, 2010, revokes the single paragraph of art. 16 of CONAMA Resolution 401/2008. Resolution 431, May 24, 2011, changes art. 30 of Resolution 307 from July 5, 2002, issued by the National Environment Council (CONAMA) establishing a new classification for plaster. Resolution 1, Jan. 23, 1986, establishes provisions for the basic criteria and general directives for the assessment of environmental impact. Resolution 6, Jan. 24, 1986, regulates the approval of models for environmental license requests. Resolution 11, March 18, 1986, establishes provisions for changes in Resolution 1/86. Resolution 9, Dec. 3, 1987, establishes provisions for the holding of Public Hearings in the environmental licensing process. Resolution 237, Dec. 19, 1997, establishes provisions for the revision and complementation of procedures and criteria used for the granting of environmental licenses. Resolution 281, July 12, 2001, establishes provisions for the publication models for license requests. Resolution 306, July 5, 2002, establishes minimum requirements and references for the undertaking of environmental audits. Resolution 378, Oct. 19, 2006, defines enterprises that can potentially impact the national or regional environment in order to comply with the provisions of item IIID, § 1, art. 19 of Law 4.771 issued on Sept. 15, 1965 and makes other provisions. Resolution 381, Dec. 14, 2006, changes the provisions of Resolution 306 issued on July 5, 2002 and Annex II, which deals with the minimum demands for the realization of environmental audits. Resolution 1, March 5, 1985, establishes provisions for the suspension of the granting of license for the implantation of new alcohol distilleries in watersheds located in the Pantanal Matogrossense. Resolution 5, Nov. 20, 1985, establishes provisions for the licensing of transportation, storage and use activities of pentachlorophenol and sodium pentachlorophenol. Resolution 14, March 18, 1986, establishes provisions for the referendum to Resolution No. 5/85. Resolution 6, Sept. 16, 1987, establishes provisions for the granting of environmental licenses for the construction of electric energy generation plants. Resolution 5, June 15, 1988, establishes provisions for the environmental licensing of sanitation works. Resolution 9, Dec. 6, 1990, establishes provisions for specific rules for environmental licensing of mineral extraction, classes I, III to IX . Resolution 10, Dec. 6, 1990, establishes provisions for specific rules for licensing mineral extraction, environmental class I Regulates the granting of environmental licenses for beaches where turtles spawn. Resolution 16, Dec. 17, 1993, establishes provisions for the compulsory environmental licensing to specifications, manufacturing, marketing, and distribution of new fuels, and makes other provisions . Resolution 23, Dec. 7, 1994, establishes specific procedures for licensing of activities related to the exploration and mining of liquid fuels and natural gas fields . Resolution 264, Aug. 26, 1999, regulates the licensing of rotation ovens for the production of clinker and the co -processing of waste. Resolution 273, Nov. 29, 2000, establishes directives for the granting of environmental licenses to fuel service stations and establishes provisions for the control and prevention of pollution. Resolution 279, June 27, 2001, establishes the procedures for the granting of simplified environmental licenses to electrical enterprises with low pollution environmental impact. Resolution 284, Aug. 30, 2001, establishes provisions for the granting of environmental licenses to irrigation enterprises. Resolution 305, June 12, 2002, establishes provisions for Environmental Licenses, Environmental Impact Studies and Environmental Impact Report for activities and enterprises that include Genetically Modified Organisms and derivatives. Resolution 312, Oct. 10, 2002, establishes provisions for the granting of environmental licenses to shrimp cultivation enterprises on the coastal zone. Resolution 319, Dec. 4, 2002, provides a new text for the provisions of Resolution 273/00 which establishes directives for the granting of environmental licenses to fuel service stations and the prevention and control of pollution. Resolution 334, April 3, 2003, establishes provisions for processes related to the granting of environmental licenses to enterprises that collect/store empty agrotoxic packages. Resolution 335, April 3, 2003, establishes provisions for the environmental licensing of cemeteries. Resolution 349, Aug. 16, 2004, establishes provisions for the granting of environmental licenses to low environmental impact railway enterprises and the regularization of operational enterprises. Resolution 350, July 6, 2004, establishes provisions for specific environmental licenses for maritime seismic data collection activities in transition zones. Resolution 368, March 28, 2006, changes the provisions of Resolution 335 from April 3, 2003, which provisions the granting of environmental licenses for cemeteries. Resolution 377, Oct. 9, 2006, establishes provisions for the granting of simplified environmental licenses for Sanitary Sewer Systems. Resolution 385, Dec. 27, 2006, establishes the parameters to be adopted for the granting of environmental licenses agro-industries with small and low environmental impact. Resolution 387, Dec. 27, 2006, establishes the procedures for the granting of Environmental Licenses for Agrarian Reform Settlement Projects and makes other provisions. Resolution 402/2008, Nov. 17, 2008, changes articles 11 and 12 of Resolution 335 issued on April 3, 200, which provisions the granting of environmental licenses for cemeteries. Resolution 404/2008, Nov. 11, 2008, establishes criteria and directives for the granting of environmental licenses for small sanitary embankments of solid urban wastes. Resolution 412, May 13, 2009, establishes criteria and directives for the granting of environmental licenses to new enterprises engaged in the construction of Social Interest housing. Resolution 413, June 26, 2009, establishes provisions for the granting of agricultural environmental licenses and makes other provisions. Resolution 428, Dec. 17, 2010, establishes provisions, in respect to environmental licenses regarding permits issued by the organ responsible for the administration of the Conservation Unit (UC) that is the subject of § 3 of art. 36 of Law 9.985 from July 18, 2000, as well as on the awareness of the organ responsible for the administration of the Conservation Unit (UC) in respect to environmental licenses for enterprises that are not subjected to EIA-RIMA and makes other provisions. Resolution 4, March 31, 1993, establishes provisions for the compulsory licensing for activities, projects, plans and projects to be installed in the areas of sandbank. Resolution 4, Oct. 9, 1995, institutes Airport Safety Areas (ASAs). Resolution 10, Oct. 24, 1996, regulates the granting of environmental licenses for beaches where turtles spawn. Resolution 286, Aug. 30, 2001, establishes provisions for the granting of environmental licenses to enterprises in malaria infested regions. Resolution 1, June 13, 1988, establishes provisions for the Federal Technical Register of activities and environmental protection instruments. Resolution 6, June 15, 1989, establishes provisions for the National Register of Environmentalists Entities –CNEA. Resolution 292, March 21, 2002, regulates the registration and re-registration of Environmental Entities in the CNEA. Resolution 411, May 6, 2009, establishes provisions for inspection procedures related to industries that consume or process natural forest products.